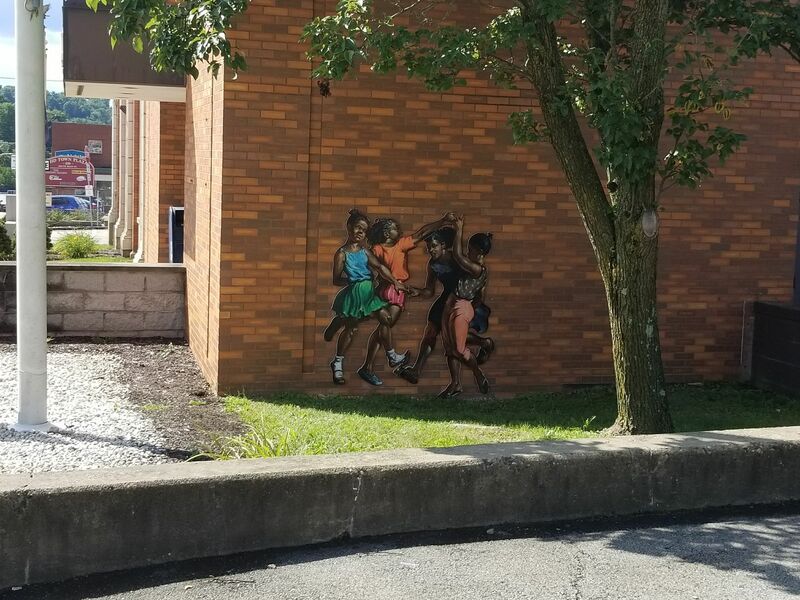 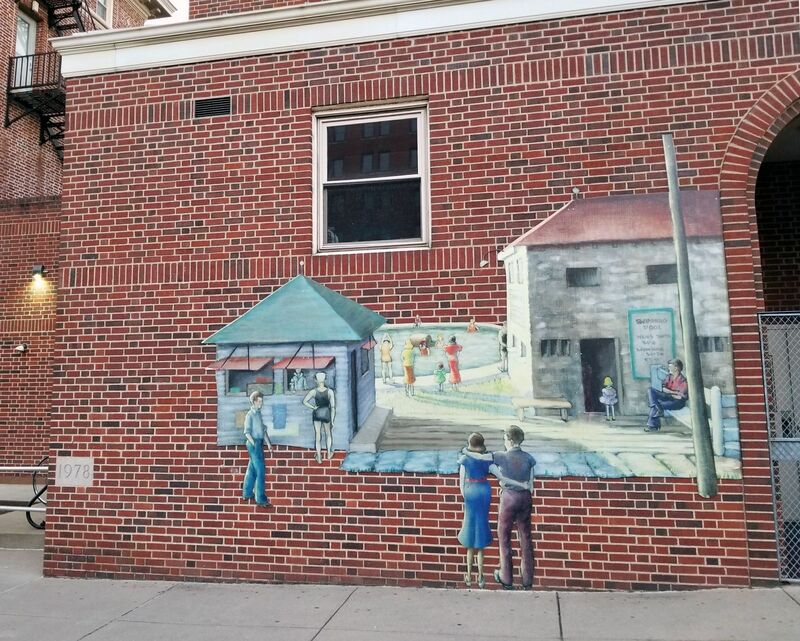 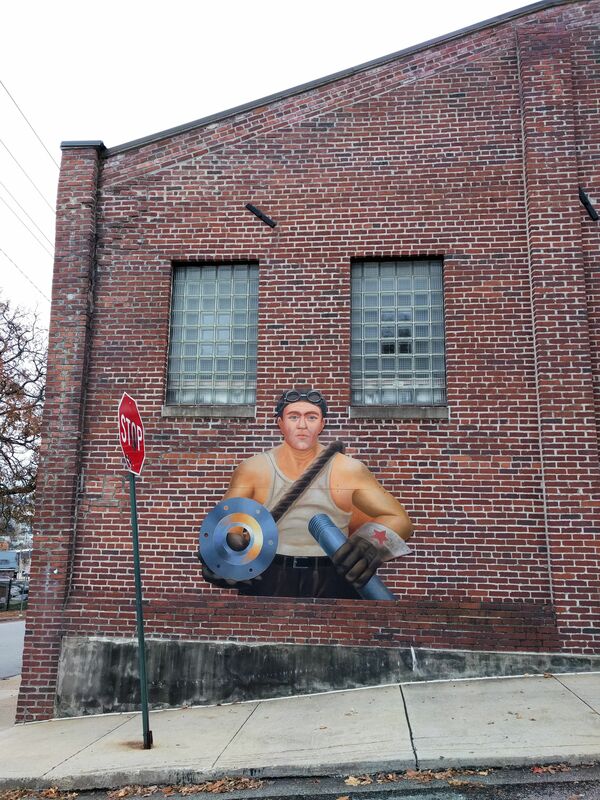 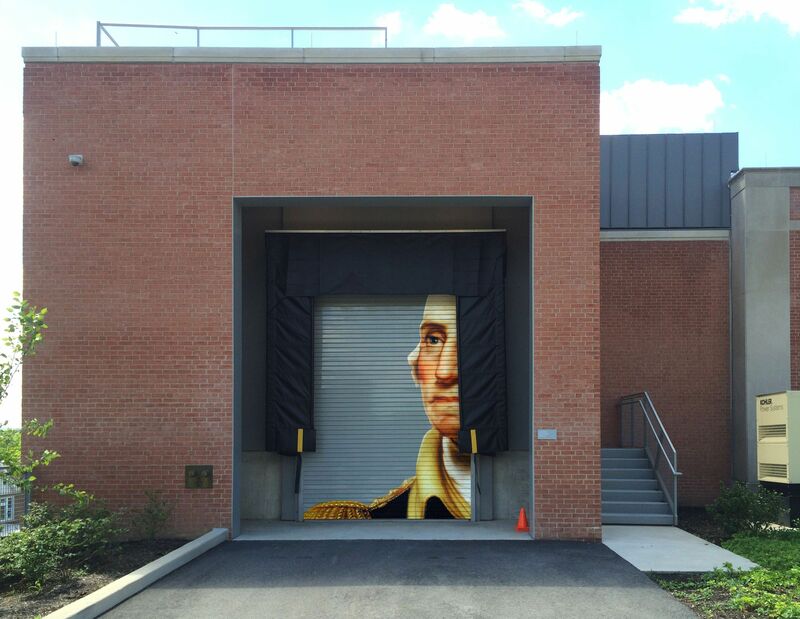 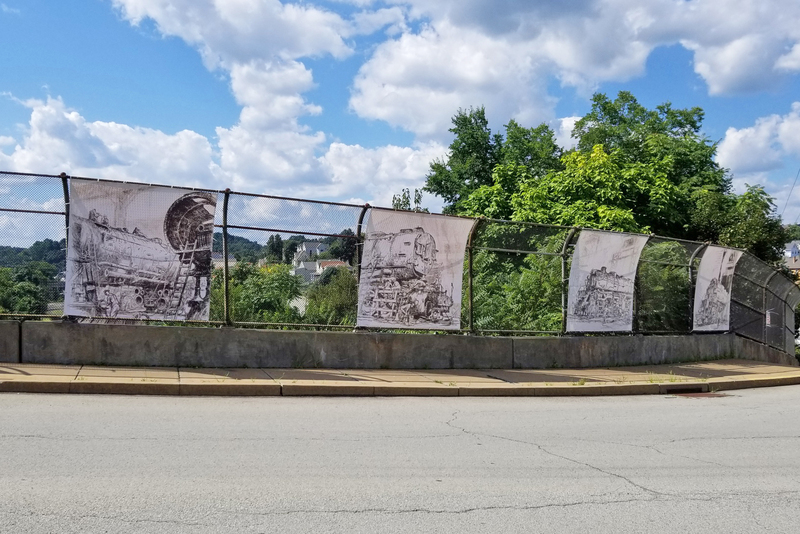 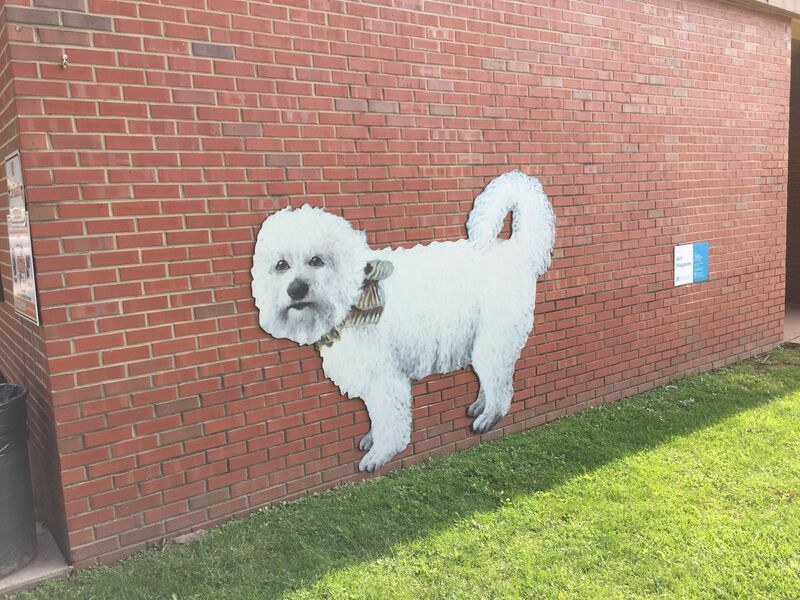 Art Happens is an interactive public art project developed by The Westmoreland Museum of American Art and located in Greensburg’s central business district. 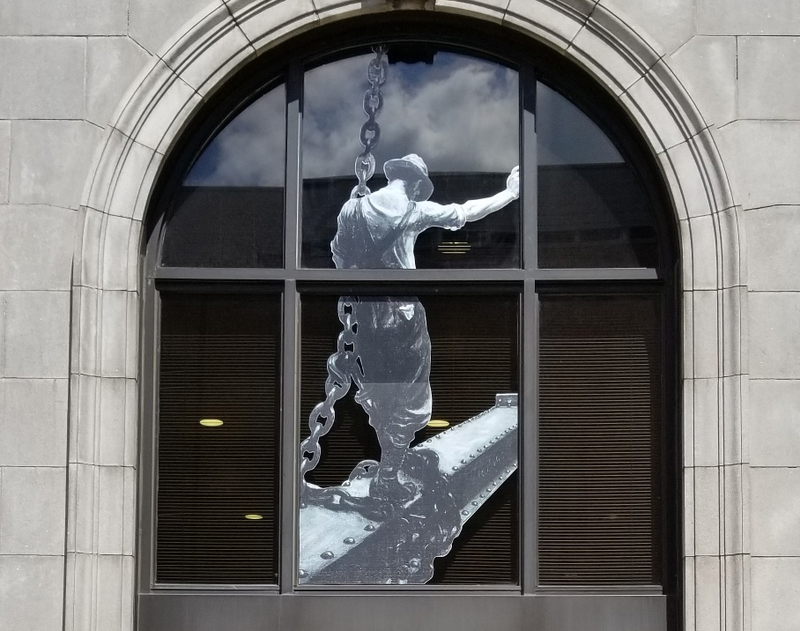 In partnership with the Greensburg Community Development Corporation (GCDC) and the City of Greensburg, this community project will place select details of the Museum’s collection directly into the city where people live, work, and play. 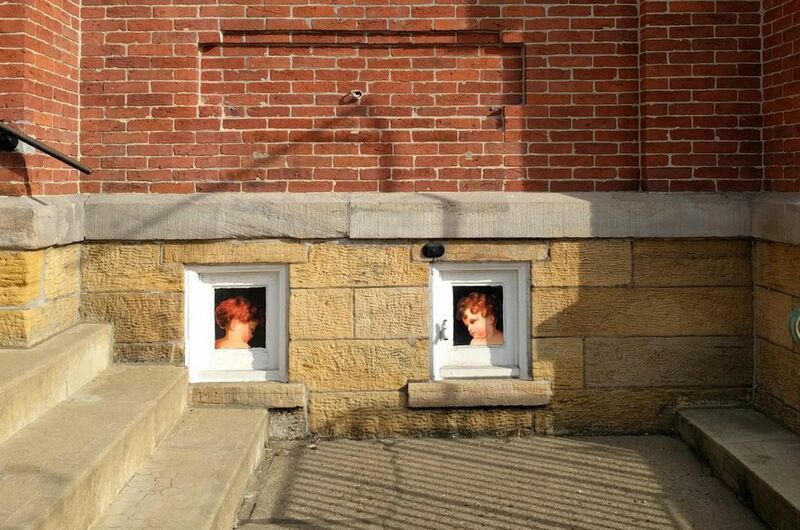 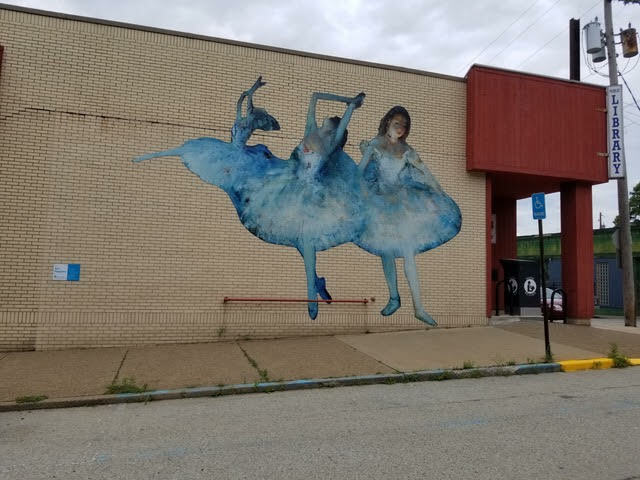 In the summer of 2018, the project expanded to the city of Jeannette in partnership with the Jeannette Arts Council. 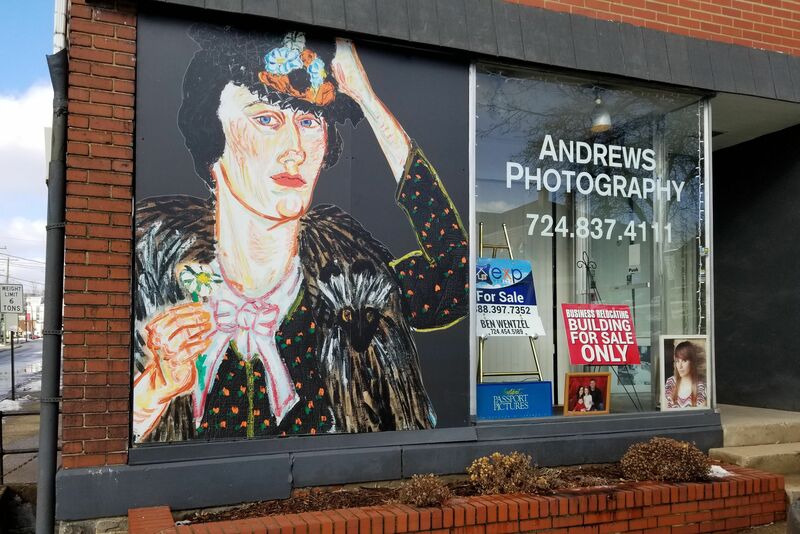 Working with Blue Sky Sign Co., Art Happens provides opportunities for residents and visitors alike to enjoy these “random acts of art.” And, if you take a selfie with your favorite image (and use #arthappensproject), you can visit the Museum to view the original artwork with our compliments. 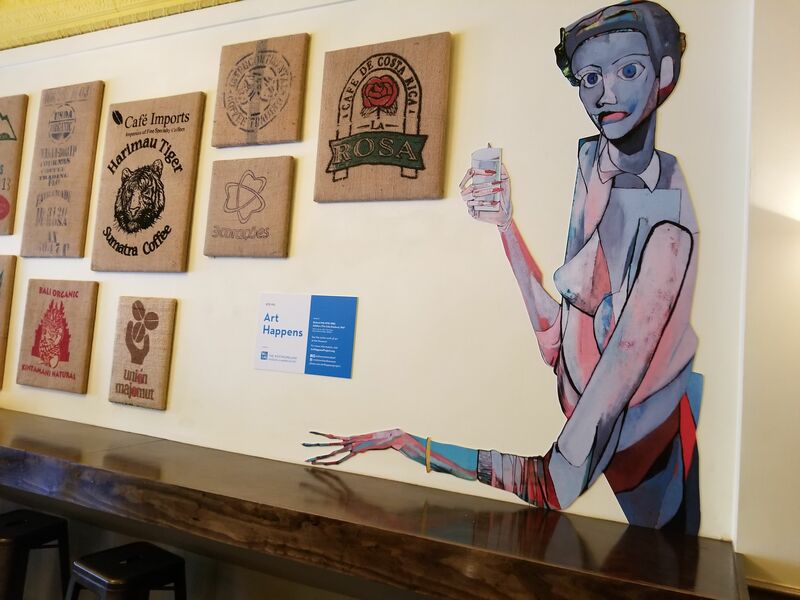 While you are there, purchase an Art Happens button, bumper sticker or T-shirt in our Museum Shop and spread the love. 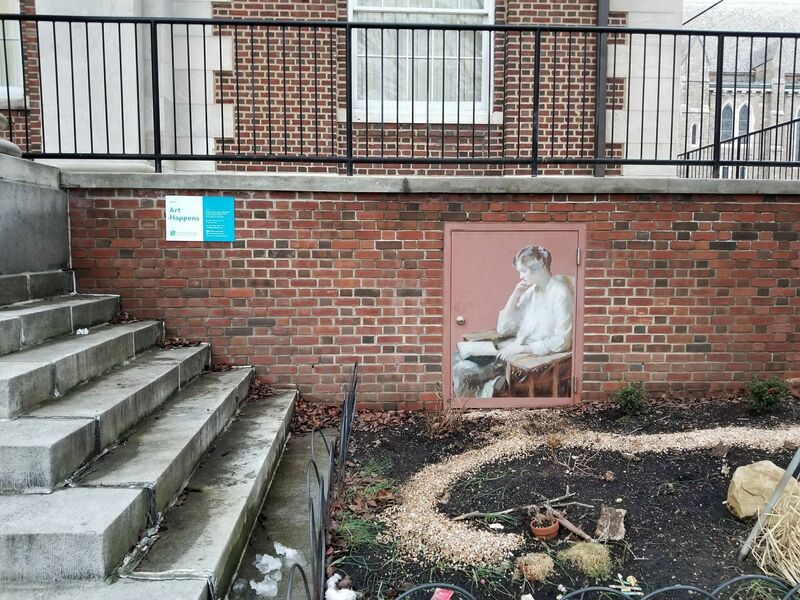 Works of art will be featured at more than a dozen sites, so set out on your own art scavenger hunt (see below for a map of the current sites). 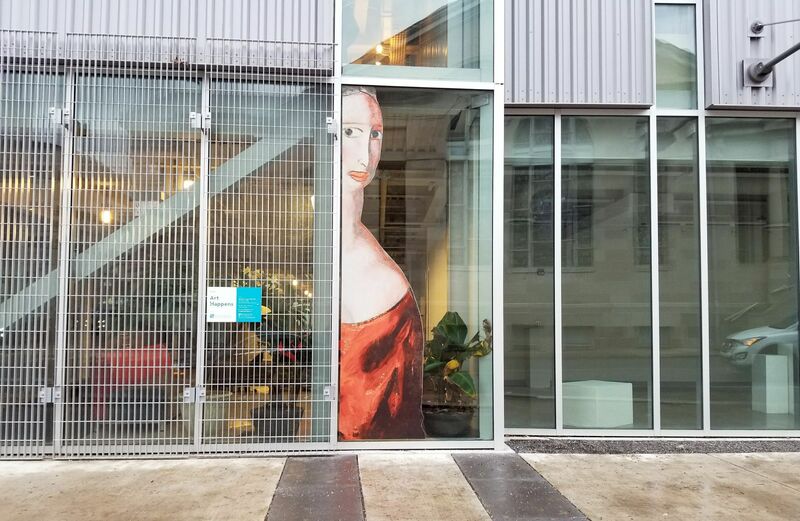 Check back with us often to find out more about this project and connect with your country, your art and your museum! 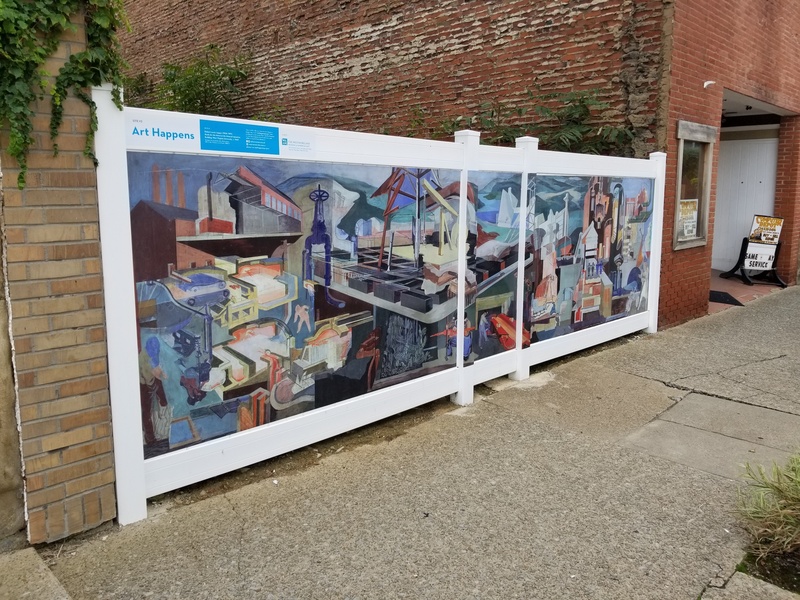 Experience the Art Happens Project for yourself by using our map to seek out the current locations.